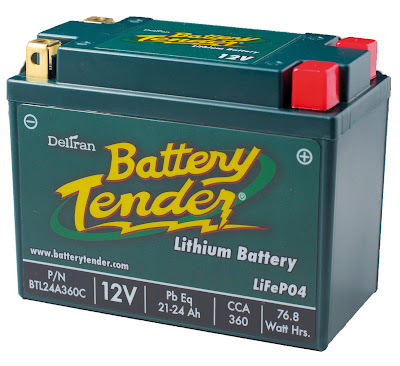 Note: For Lithium Batteries use only Lithium Battery Charger( #890547)! Proper function of your chargingsystem is important to avoid damage of your Lithium Battery! Note: Upgrade 1 & 2 batteries come with more power than the standard versions and vary in sizes. Always check the size of the battery on page 6.78 to be prepared that you might fit the battery with mousse pads (adhesive foam CCI#18941) to your needs or battery box size. Also standard batteries can be smaller in size compare to the OEM counterpart! Mousse pads are included in the package.